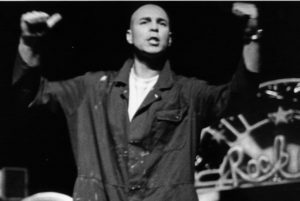 Jay programmed all the music for the first version of the show in his home studio in Garway, Herefordshire, using the very new computer-based technology of the time. Audio was added at Broad Oak Studios, Hereford and the backing-tracks were created with Jay playing nearly every instrument. He took this package to script-writer Peter Cann. Inspired by the story and the songs, Peter wrote the first hilarious script for Billy Buckett the musical. Hereford Youth Theatre group ‘Mad Dogs & Englishmen’ took the project on and two youth productions ensued at the New Hereford Theatre in 1988 and ‘89, the second season by popular demand. The audience bought an amazing 400 copies of the original cast recording which were, of course, released on cassette!! The show faded into the distance, as Jay’s singer-songwriter career took off on the acoustic-folk club and festival scene and relentless international touring became his way of life. 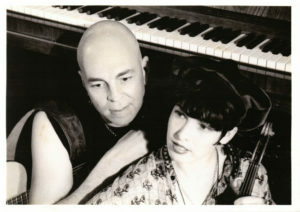 On a tour of Australia in 1995, Jay met Brisbane-based performer, singer, songwriter and instrumentalist Catherine Mundy who was touring in acappella trio Sister Moon. It was pretty much love at first sight for the couple. They were married within a year, formed singer-songwriter duo Mundy-Turner and began recording and touring their new act. Jay proudly showed Billy Buckett to his drama-graduate wife. Cath loved the music, but realised almost immediately that the script had some flaws which needed serious attention; work which would take time their touring schedule didn’t allow. So again it was packed away. Twelve eventful and happy years rolled by with Mundy-Turner busily touring the English-speaking world until in 2007, with their new-born son, they settled in Waterford, just south of Brisbane, Queensland. A new way of making an income was required, since full-time touring was now very much off the agenda for the new parents. 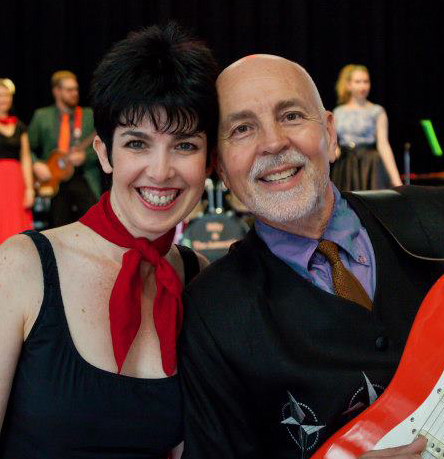 Cath began directing community choirs and Jay began looking for a new music-related career. In 2010, whilst on a Cert IV Media and Broadcasting course, he had reason to revisit his long-neglected musical. Bemused at how well it still read and how much he still enjoyed the music, Jay now used the internet to approach Grand Licence Publishers. Stagescripts UK offered a contract almost immediately, but required backing-tracks for the songs, as well as a full score. The thirteen original backing tracks had been lost among Jay’s various moves of house/country/continent and would all have to be re-recorded. There had never been a score for the show, either. Energised by the Stagescripts offer, Jay set to work. He began digitally re-recording the songs in his home studio. A few of them he gave completely new musical settings. He added six new numbers to the score and shaped each piece to emphasise a distinctly 1950’s British-ness in the sounds and style. Meantime, Cath was fully-arranging the backing ensemble vocal harmonies and creating the piano-vocal scores for all the songs, in preparation for scoring for full band. Together Jay and Cath recorded all the instruments and vocals (both lead and backing) to create full demos of the songs. Screen-writer/director Katrina Graham was drafted in as dramaturg to help Cath & Jay analyse and dismantle the existing script for reconstruction. Jay and Cath then began a complete re-vamp. New scenes were written, irrelevant characters and scenes deleted, stronger character arcs developed, back-stories and scene synopses written. 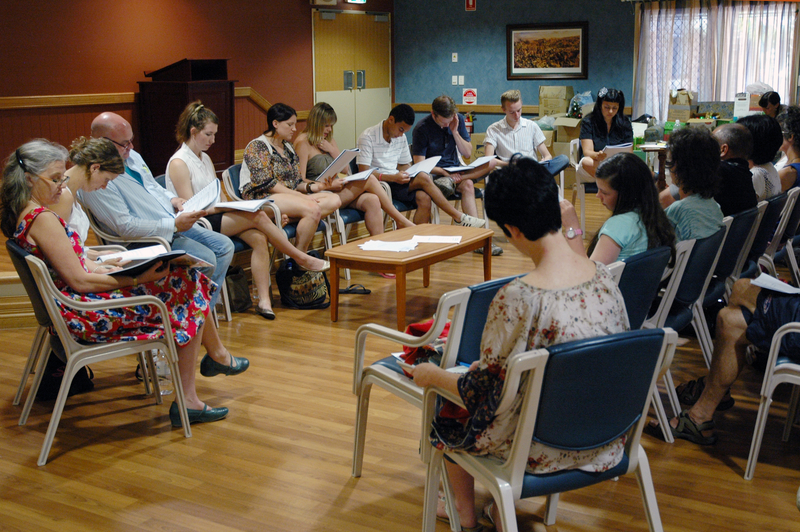 Using the new demo tracks, the resulting script was given an unrehearsed reading by 10 actors, in front of a small invited audience in November 2011. The response was hugely positive, with feedback forms and after-show discussions used as pointers for further script changes. Yet more fine-tuning came in the form of a rehearsed reading with the Phoenix Ensemble putting on a fantastic version of the show after only eight short rehearsals, for two nights at the Pavilion Theatre, Beenleigh, in April 2012, directed by Cath. Scripts in hand, the actors moved the scenes and sang the songs to backing tracks. Again feedback forms and post-show forums with the audience and actors helped to inform further changes. It was clear that a modern audience loved BB and the show clearly appealed to every age-group. Beenleigh Theatre Group heard about the popular reaction to the Phoenix readings and offered Billy Buckett a season during their 2013 schedule. BTG’s highly experienced theatre director Roslyn Johnson came on board as dramaturg, adding a number of expert suggestions that led to more script re-shaping and fleshing out for a full production with a large chorus/ensemble. 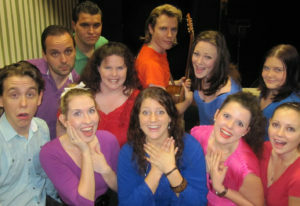 Auditions for both cast and band were held and work began in earnest on a full production version of the show executively and musically directed by its creators Jay and Cath, supported by staging director Roslyn Johnson, choreographer Hannah Crowther, wardrobe co-ordinator and seamstress Marg Oliver, and a wonderfully dedicated creative and production team. Rem Bruijn of Brainheart consulted on the development of a new BB logo and with his designer Jesse Richardson, came up with the richly striking image which gave the themes of Billy Buckett a shiny new visual life. 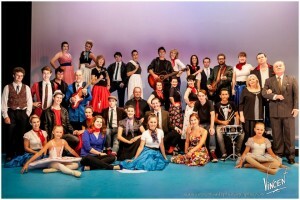 “Billy Buckett – A Rock ‘n’ Roll Love Story” debuted at the 150-seater Crete Street Theatre, Beenleigh, Queensland, Australia from April 26 to May 11 2013, for a nine-show season, complete with a 32-strong cast and, for the first time in its history, a live band, 7-piece outfit “The Asteroids”. Featuring its new script, new logo and 19 original rock’n’roll songs plus 28 new instrumental interludes/transitions, the season was a sell-out. Smashing a number of records for the Beenleigh Theatre Group, including a standing ovation at the Preview and standing ovations at six more shows, extra rows of seating had to be added to the auditorium for the final four shows to cater to demand. The audience response was overwhelming. To have achieved this with a previously unknown musical was no mean feat; the result of thousands of hours of work by Jay, Cath, Ros, Briohne Sykes the marketing co-ordinator and the entire dedicated production team. 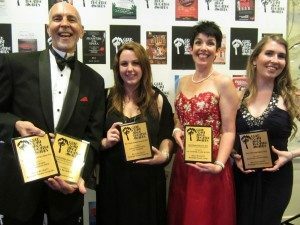 Later in 2013 the show was nominated for ten Gold Coast Area Theatre Awards, including Outstanding Community Production, competing with 60 other productions. In December 2013, BB went on to win five awards at the GCATA, one being for “Most Nominated Production”. It was also the most awarded production and the cast was invited to perform a full-costume medley of some of its songs live at the awards event at the Gold Coast Arts Theatre. An offer came for Jay & Cath to produce the first professional season of BB at the Cremorne Theatre in Queensland’s Performing Arts Complex in 2015. Unfortunately, the costs were prohibitive. So instead Cath & Jay focussed on what they’d learned from the Crete Street production, making further script-improvements and completing the full conductor’s & band scores, ready for publishing & international licensing by Stagescripts UK. In 2017, the opportunity came to stage the first semi-professional version at SunPAC in May 2018 (Brisbane’s newest performing arts venue) with a reunion cast of the lead actors, The Asteroids, plus a smaller ensemble, working with director Roslyn Johnson and Footlights Theatrical Inc. In October 2017, Cath & Jay launched a successful online crowd-funding campaign through Pozible to raise the funds kickstart the Footlights production. Following this, the decision was made to move to the more capacious Logan Entertainment Centre. Arts Queensland and Logan City Council’s Regional Arts Development Fund then came on board with extra funding to help secure the venue. The season previewed to an audience of sponsors and invited guests on Wednesday 16 May and opened to the public for four shows (Thursday 17 May, Friday 18 May, Saturday 19 May matinee, Saturday 19 May evening), playing a total of five shows, attended by 1, 000 audience members. The Saturday shows were professionally filmed and audio-recorded to create a live album and full show video for online viewing and downloading, to be released in Sept/Oct 2018, along with promotional YouTube clips of each song.